Former Ontario attorney general Michael Bryant's life changed forever in August 2009 following a deadly encounter with a Toronto cyclist. Former attorney general of Ontario Michael Bryant's life changed forever in August 2009 following a deadly encounter with a Toronto cyclist. Bryant, who had left provincial politics for a job as CEO of Invest Toronto, was driving home from an anniversary dinner with his wife when he got into an altercation with a bike courier along Bloor Street. Darcy Allan Sheppard, 33, reportedly latched onto Bryant's car, and as the former provincial politician tried to drive away, Sheppard died when he hit the pavement after striking a mailbox and tree. Have you had a 'Do-Over' moment? Leave us a message at 416-205-5807 or email us at metromorning@cbc.ca. Bryant, who was once such a rising star in the Ontario Liberal Party that he was seen as a potential leader and premier, was charged with criminal negligence causing death and dangerous operation of a motor vehicle. The charges were dropped after prosecutors concluded there was little chance of a conviction. In 2011, Bryant published a book, 28 Seconds, that looked at the aftermath of the controversial incident before he disappeared from public life. "I had been putting off the 'now what' and wondering what the do-over would look like," Bryant told CBC Radio's Metro Morning Thursday. "Therein began the process of overthinking and not doing the 'doing' part of the do-over." That's when Bryant says he found the Sanctuary, a charitable organization in a former church in the city's downtown area that serves as a drop-in centre for the homeless. "I ended up somewhere I did not expect to go," the 51-year-old explained. "I ended up in there through a series of events and found myself connecting and identifying with people, and learning from people who I had previously not identified with and frankly been afraid of." He claims the organization helped him deal with Sheppard's death, adding he will never be able to reconcile it. "That's something that is just with me all the time," he said. "He was a human being and he lost his life and that's something I can't undo and can't go back, so what can I do today? That's how I'm living." 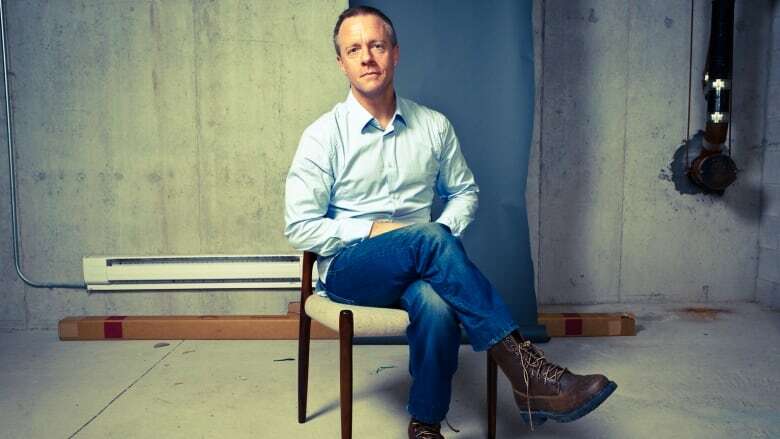 Seven years after charges were withdrawn, Bryant is the new executive director of the Canadian Civil Liberties Association, a non-profit organization that advocates for Canadians' constitutional rights. He also works as a criminal lawyer at a bail court in Brampton, a decision he says was influenced by his experience at Sanctuary. "While I was having this existential debate in my head about what I should be doing and what the do-over looks like, I had people from Sanctuary coming up to me and saying, 'Look I've been charged. I need some assistance,'" he said. "This is a group of people who need assistance and need to have their rights protected and that is my job." While Bryant has nearly two decades of experience in provincial politics and at the time was the youngest attorney general in the province's history, he is now representing people in bail court who don't have a lawyer. "I'm standing beside a Crown attorney who used to think of me as a boss. I'm facing a justice of the peace who I probably appointed to that bench and I'm looking over at a defendant who in some cases is desperate and is going to do just about anything to get out," he said. "I know that feeling a little bit because I was there and I know how terrifying it is to be on the other side of that window in those cuffs." This week, in honour of the new year, Metro Morning is bringing you stories of 'Do-Overs' — moments in which people decide to make profound changes to their lives. Have you had a 'Do-Over' moment? Leave us a message at 416-205-5807 or email us at metromorning@cbc.ca. An earlier version of this story incorrectly reported that Michael Bryant was acquitted in the death of Darcy Allan Sheppard. In fact, Crown prosecutors withdrew all criminal charges against him.